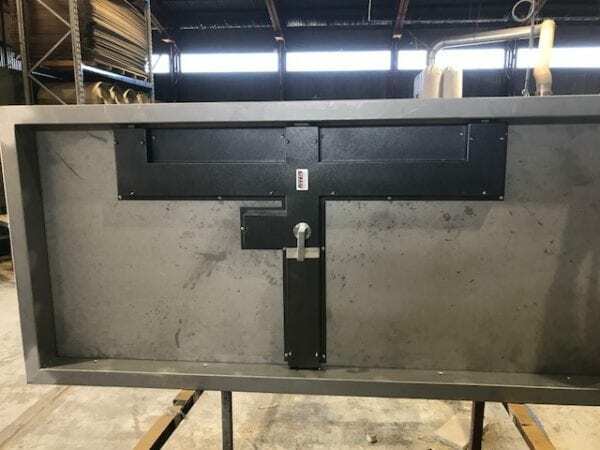 The Spartan Doors Aegis-R2 bulletproof door is rated AS/NZS 2343:1997 level R2 capable of stopping three strikes from NATO 7.62mm 9.3g full metal case bullets. 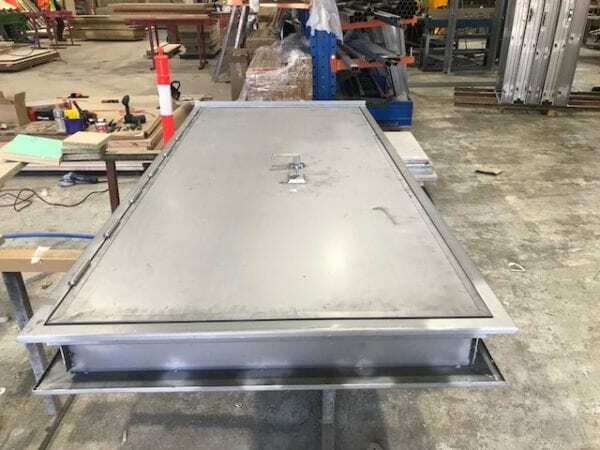 To make the door, we weld super high hardness >500, high-grade steel plate Brinell 6.5mm Bisalloy to the RHS internal frame with precision cut hardware preparations. Then built the door up in a similar fashion to the Bulwark 6000. We sent the Aegis-R door shown here out pre-hung with 8 X 3.2mm security hinges in a pressed metal door frame constructed from 2mm Zincanneal, fitted with a River’s 4 point locking system and heavy duty closer. This simplifies the installation process and minimises site work.